How the Jekyll and Hyde Effect Helps My Writing as a Multi-Genre Author. If it were possible for Dr Jekyll to uphold his social standing in Victorian London, while also entertaining his ‘inner demon’, Mr Hyde, then surely it’s possible that a writer can do the same. You see, I often think of my non-fiction books as the grown-up, sophisticated side of my personality. I write about personal development, holistic health and finding inspiration, topics that resonate with many people and boost their wellbeing. And I hope that my books go some way to guide my readers in finding the answers they are searching for. Then the switch flips and I’m taken over by that second skin, the mask that settles over me and allows the demons to run free. Unlike Stephenson’s Dr Jekyll, I do not spend hours in a laboratory concocting potions that will enable me to express murderous tendencies without remorse. No, in fact, I’m more likely to be found in the kitchen concocting a hot chocolate with marshmallows and whipped cream – not very demonic of me! Do I hope to expel this second skin? Should I rid myself of the one true friend who encourages me to speak out? Not a hope in hell – I love my alter ego. She pushes me to succeed and to learn more about my craft. Yes, I’ve beheaded the odd teen at her request, I’ve also disembowelled a General using ferocious demons, but I refuse to stop feeding Ms Hyde as she gives me much in return. Once the clashing of swords dies down and the scent of lavender oil washes over me, Ms Hyde retreats to a quiet space in my head and allows my Dr Jekyll to flourish. It’s normally at this time when I run my vision board workshops or hold talks on meditation for beginners, I feel motivated and inspired by the like-minded people around me. However, it’s a great comfort to know that Ms Hyde is lurking deep within, just waiting to be called forth when I need her. You see, I truly believe that Dr Jekyll loved being Mr Hyde, he thrived on the freedom as I love to tap into my seventeen-year-old self and run wild in the faerie realms I create. It didn’t end well for Dr Jekyll and Mr Hyde, but their influence will assist me with my writing goals for many years to come. Thank you, Mr Stephenson, for creating such a complex character who helps to make sense of a multi-genre writer’s brain. I think we all have multiple personalities and how we use them is utterly fascinating! Yep. I know what you mean here. My voices aren’t even the same in my non fiction to my fiction stuff. I don’t so much as struggle to accept that I have both these parts as I do know which to focus on first! It’s the Gemini in you! I can relate to this post. Fiction/non-fiction/poetry – oh, and journalism. The latter brings in some money and I do sometimes resent how my other selves have to go into hiding so often when I’ve features to write. You are funny! I write in multiple genres, but have never thought of them in this light. Am now going to roam about the darkened streets frightening small children. When arrested, I shall cite this blog and you. Nope…we aren’t expelling anything…we need the alter ego for when we have to get into character…. Alternative post title “Justifying Schizophrenia.” The only career validating multiple personalities as a bonus. Admirable variation in writing too. The well being stuff is such a bonus if it inspires people to change life habits and elevate from low moods so kudos there. I’ve a few posts on mindfulness from a Kindness Challenge last May. Its running again this year so it might be something you’d like to participate in. The audience reach is excellent too and I met some wonderful people through it. I have indeed; there’s link to it on my blog. I saw your reference to factual writing and thought it might be right up your street; more so if you can signpost your books at the same time?? This is a really interesting way to look at writing. I’m thinking of writing fiction again soon & can absolutely see how we become a bit J&H with our writing. It’s actually almost a useful technique to apply when one delves into one’s imagination. I have visions of you morphing into Ms. Hyde now, like Jamie Lee Curtis in ‘True Lies’ when she uses the flower water to slick back her hair and makes her dress shorter whist applying copious amounts of red lippy. I’ve never managed to really corner myself into one genre… from comedy to serious, romance to mystery… I may not just have the Jekyll and Hyde thing going on, but a whole Multiple Writing Personality Disorder!!! I think if you have a story inside get it out! Don’t ever lose your inner child. I mostly write humor but occasionally my passion for a topic cannot be expressed through satire or humor and I get serious. It is rewarding to be able to switch into this other ‘character’ and helps me realize that no writer is truly one dimensional if he or she indulges in some stretching. I like the way you have compared to Dr. Jekyll and Mr Hyde. Wicked awesomesauce, Shelley! 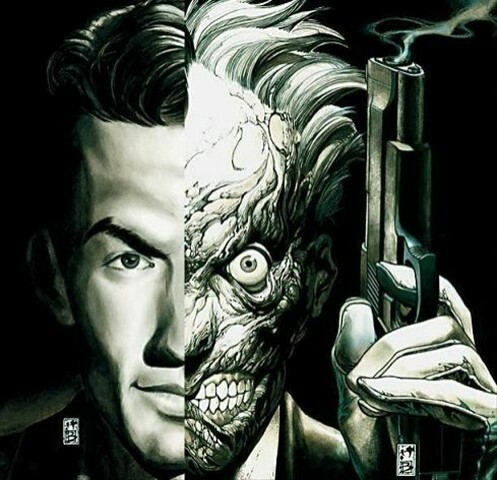 I’d never thought of my writer’s brain as being similar to Jekyll and Hyde, but it makes perfect sense! However, mine seem to coexist at the same time – my poor family! LOL! I read this and I liked it. I read this and I loved it. Dropped by from Suzie’s #BigUpYourBlog #SocialSaturday but always, always glad to be here.